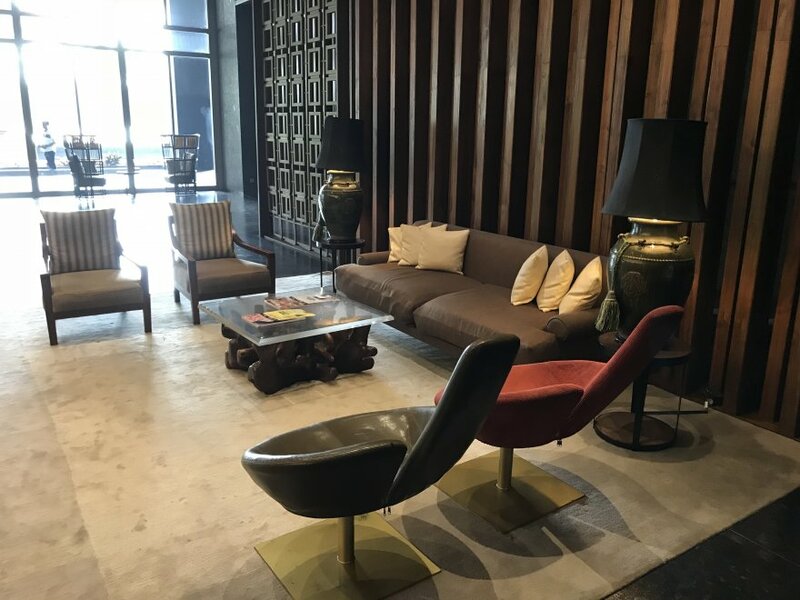 Residence 8 Apartments is made of two luxury residential towers of 43 floors each (188 meters high) with a total of 750 units. 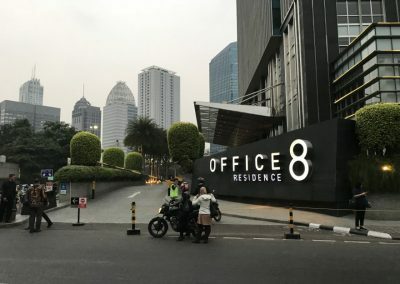 Completed in 2012 in Senopati (South Jakarta), it is part of District 8, a mixed-use project developed by the Agung Sedayu Group featuring office towers, the District 8 Apartments, shops, restaurants, and an upcoming luxury hotel (Langham). 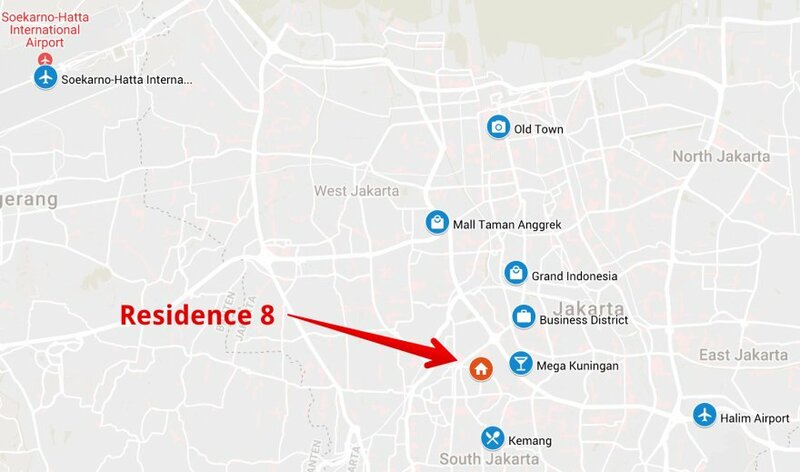 In which neighborhood of Jakarta is Residence 8 located? 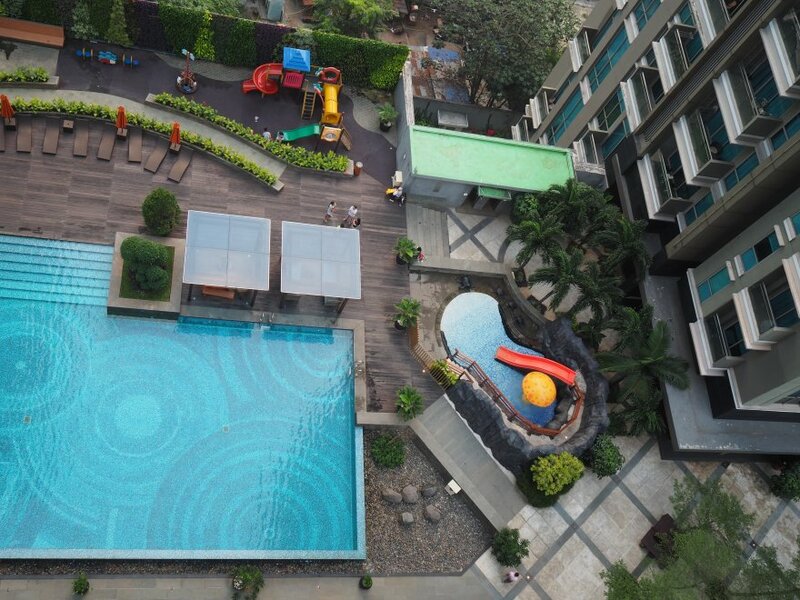 Residence 8 is located in the district of Kebayoran Baru (South Jakarta), one of the wealthiest areas in the city. 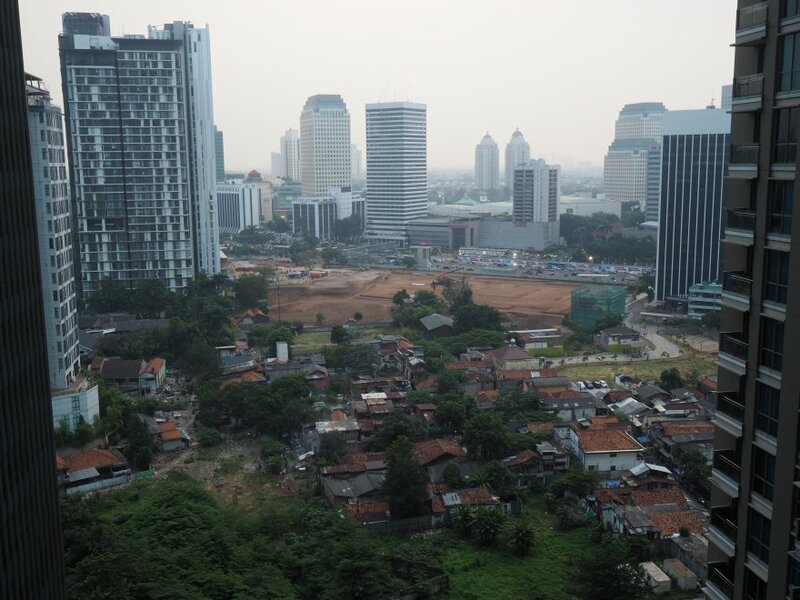 It is mostly low rise and residential, similar to other affluent neighborhoods like Pondok Indah or Menteng. 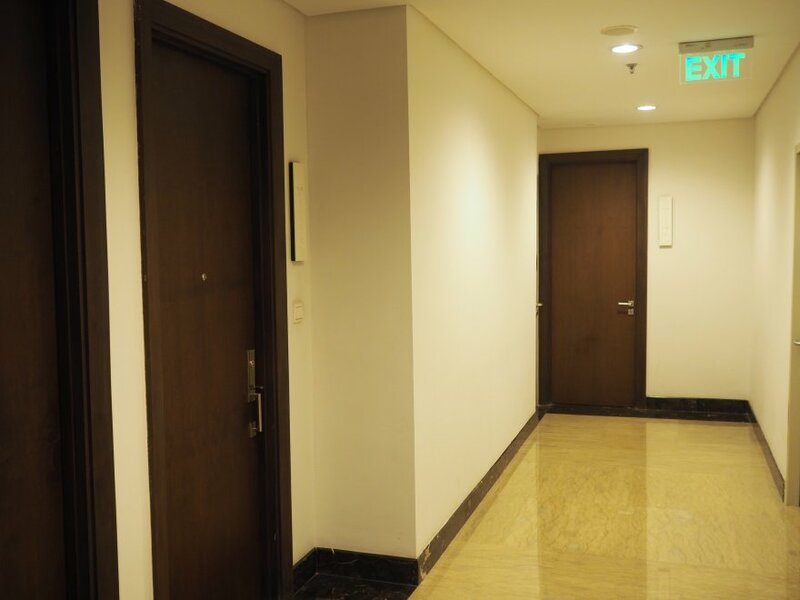 Residence 8 is also adjacent to SCBD, a superblock that is privately owned by the group Artha Graha (Tomy Winata). 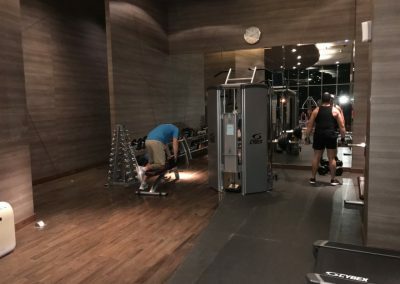 There, you will find a mall (Pacific Place), several hotels (Ritz-Carlton, Alila), office buildings (District 8, Equity Tower, The Energy Building, Jakarta Stock Exchange, etc), residential towers (SCBD Suites, Capital Residence, Kusuma Chandra, etc) and much more (shops, nightclubs, spas, restaurants, karaokes, etc). The location of Residence 8 is ideal for professionals and executives who have their offices in the golden triangle of Jakarta. 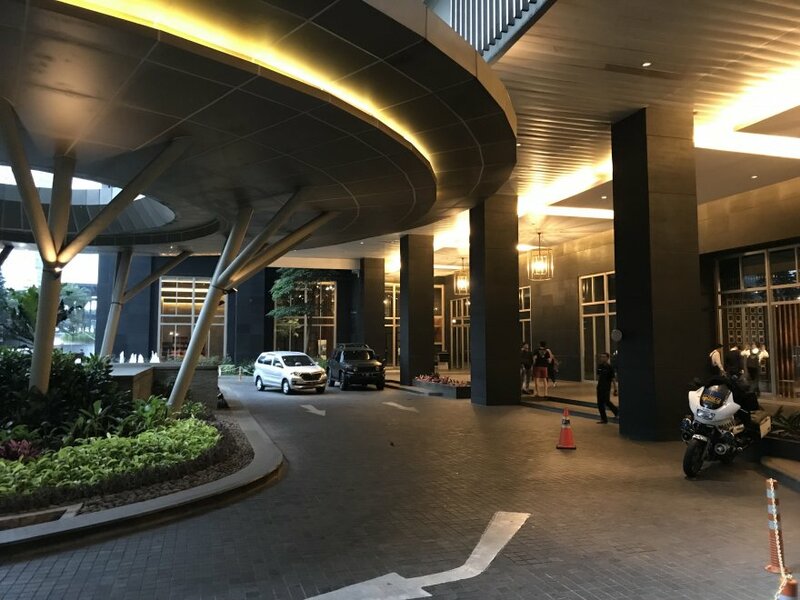 From there, you can reach anywhere on Jalan Sudirman, Jalan Thamrin, Jalan Gatot Subroto or Jalan Rasuna Said in less than 20 minutes. 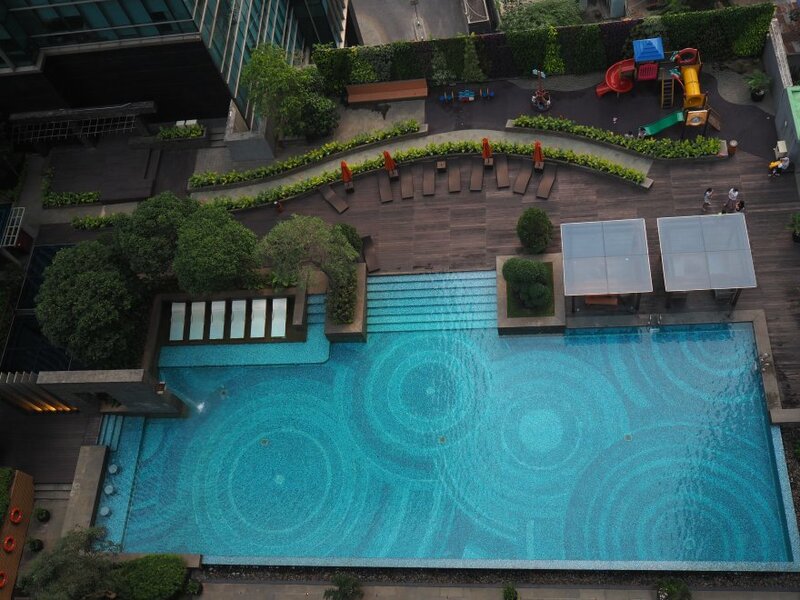 Residence 8 is less than 10 minutes away from the Semanggi Interchange which is quite strategic. 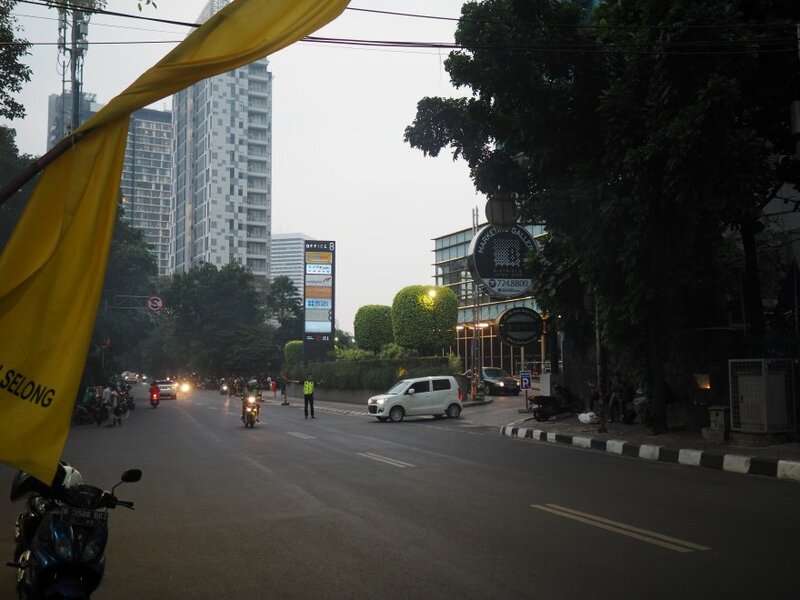 The traffic in SCBD is reasonable, but it can be very slow on Jalan Senopati after office hours. 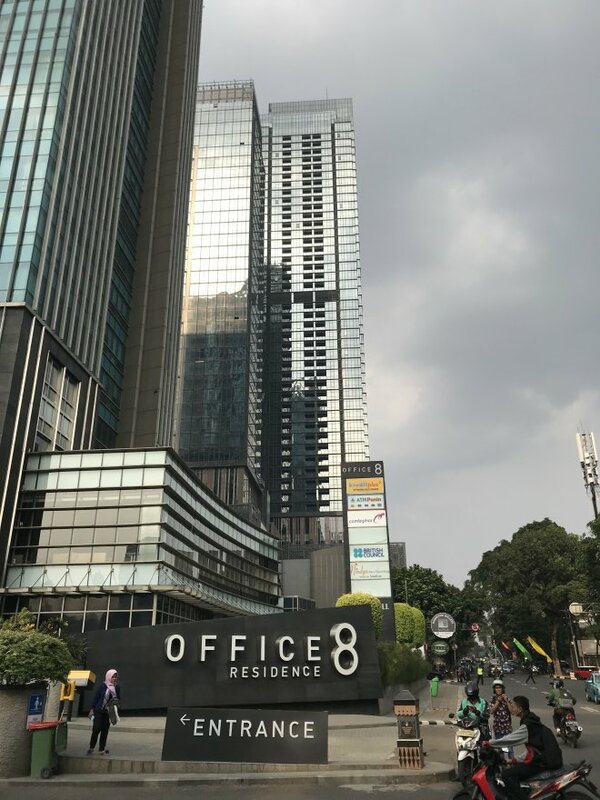 Residence 8 and Office 8 share the same entrance on Jalan Senopati. This street is famous because it has many trendy bars and restaurants. A few are walking distance, but not all of them as the sidewalk is in poor condition. 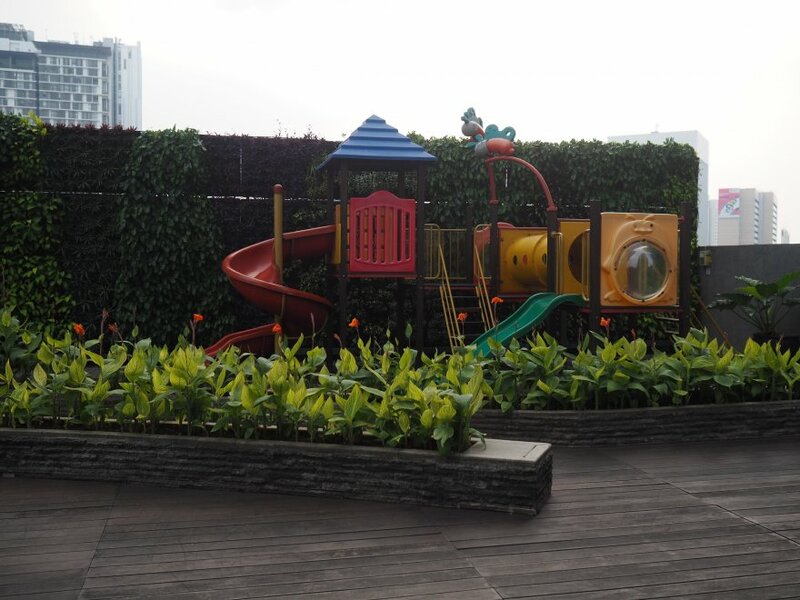 SCBD is also nearby and it is also interesting for those who like to hang out and party. 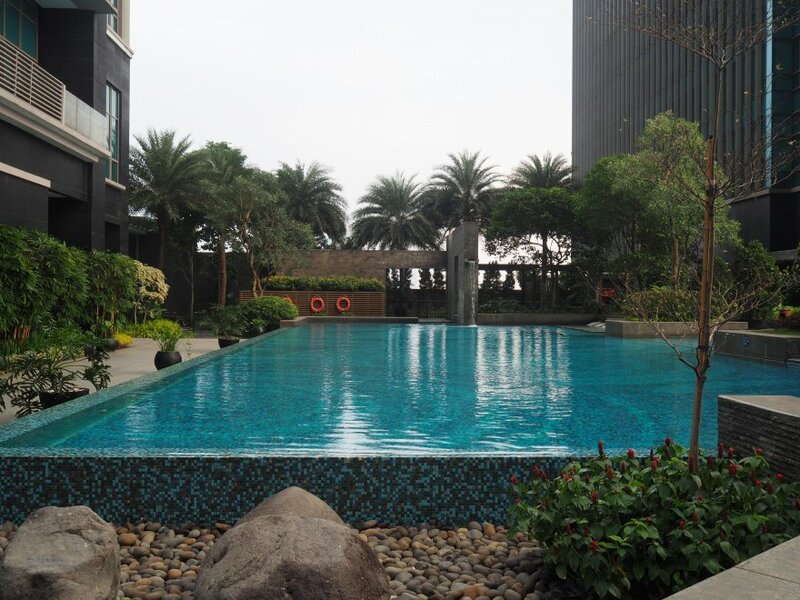 The nearest one, 10 minutes away by foot, is Mall Pacific Place. 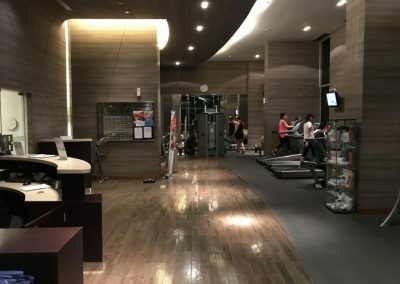 It is a medium-sized luxury mall with a Galerie Lafayette department store, a cinema, a supermarket, a gym, a Kidzania, plenty of restaurants and high-end shops. 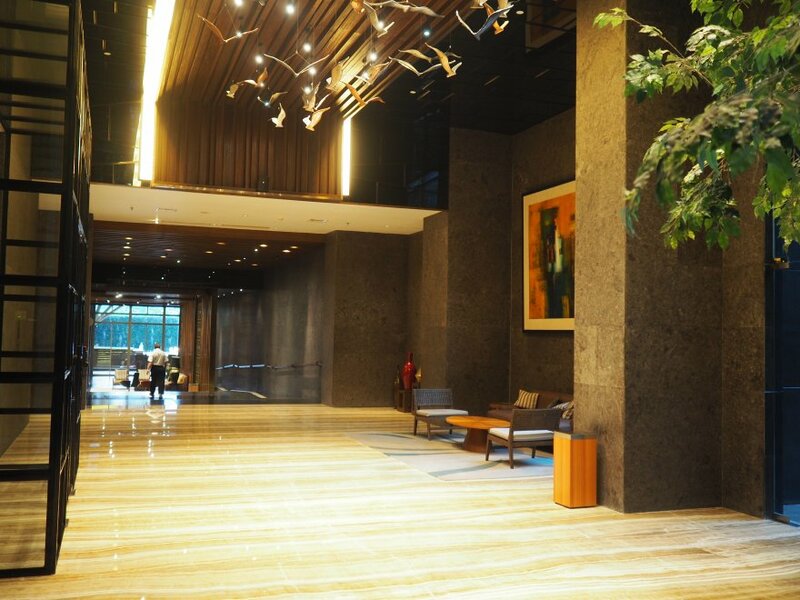 By car, you can also go in a few minutes to Senayan City and Plaza Senayan. 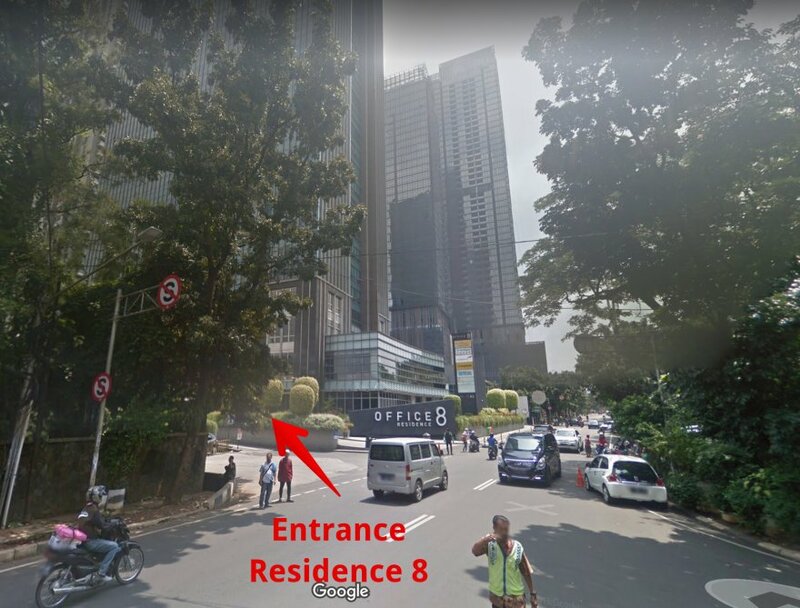 There is a Jason’s Supermarket on the ground floor of Residence 8. It is small, but you’ll find most products you may need. 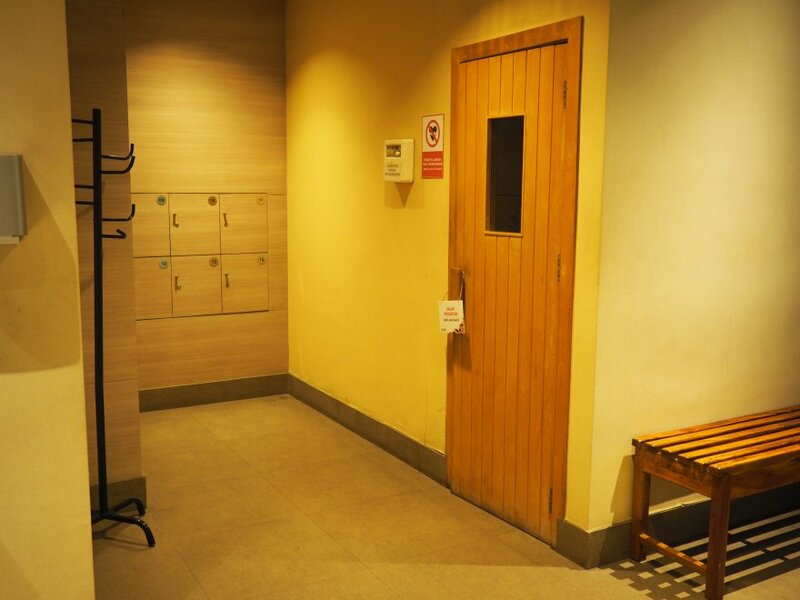 For more choice, you can also go to Grand Lucky supermarket in SCBD, just 5 minutes away by foot. 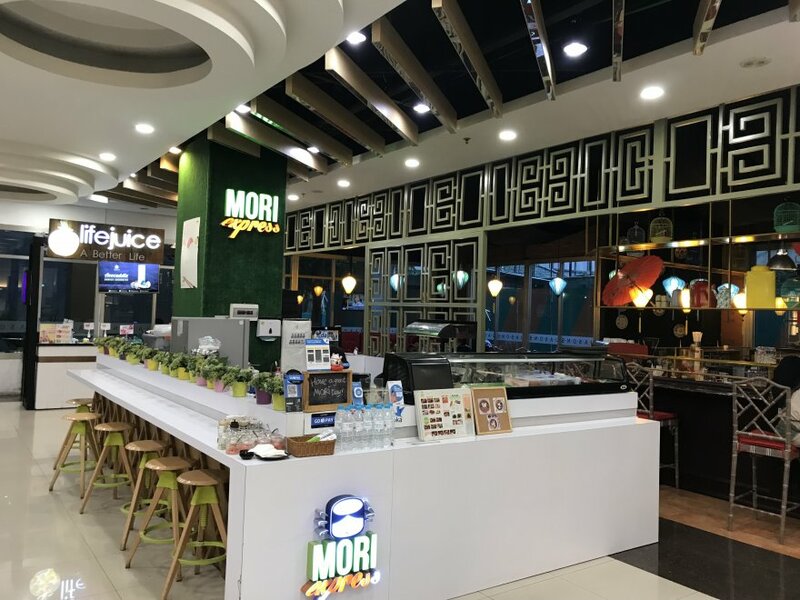 It is one of the most complete supermarkets in Jakarta for expats as it has many imported products. Alternatively, Kem Chicks in Pacific Place is also pretty good (but expensive). 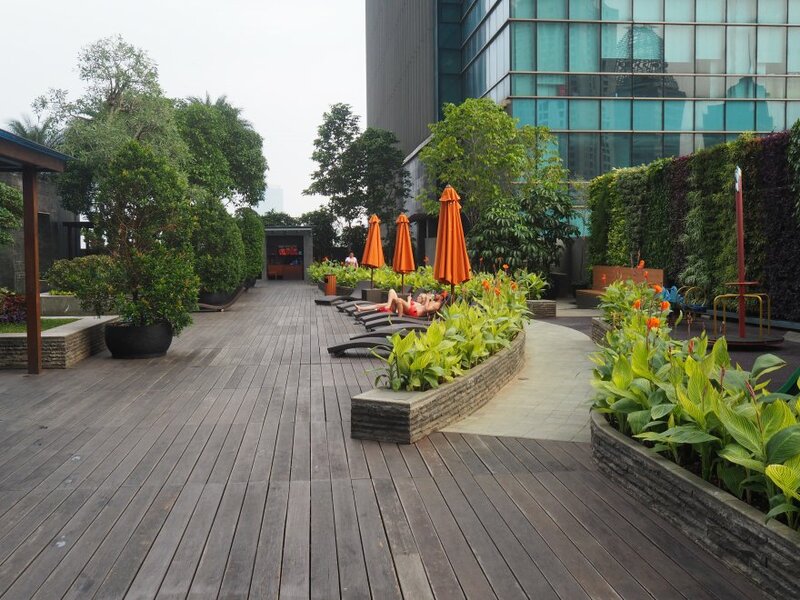 SCBD and Senopati are among the best locations in Jakarta for eating out and partying. You will have plenty of options, such as Potato Head, Lucy in the Sky, Monty’s, Cork & Screw, Paul, etc. 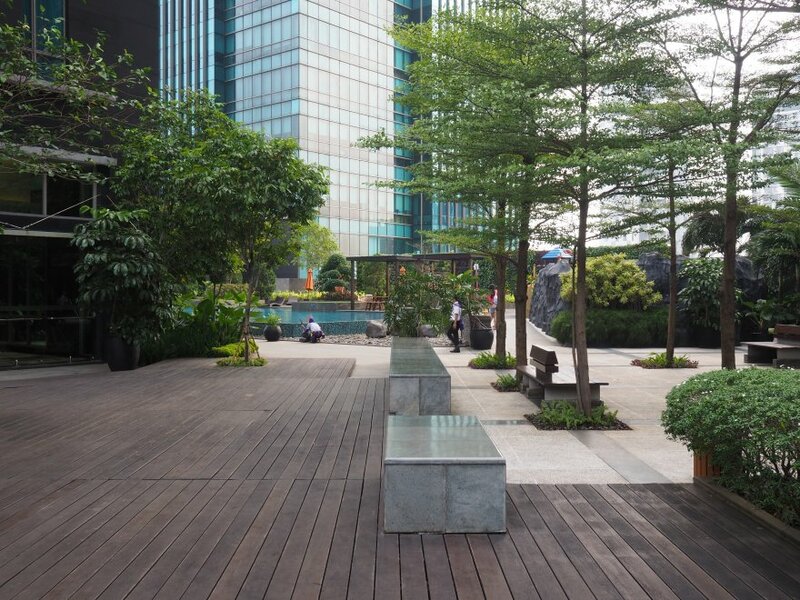 Residence 8, like District 8, was developed by the group Agung Sedayu whose reputation is fairly good in the mid-to-upper segment. 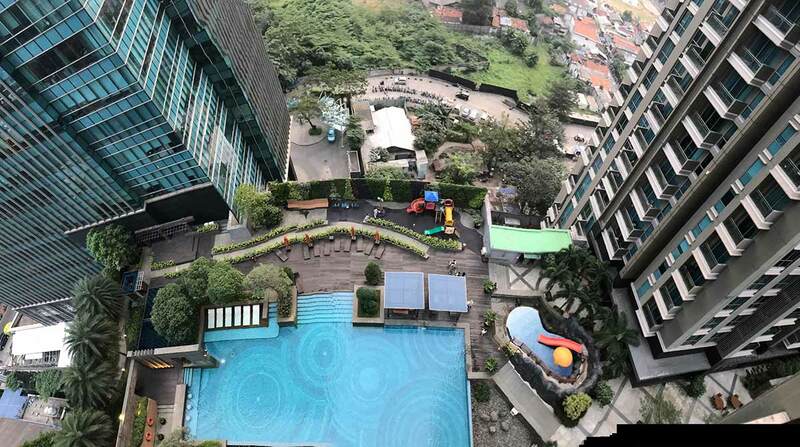 It is a large conglomerate that has built mostly townships (Bukit Golf Mediterania, Grand Galaxy City, Green Mansion, etc) and high-rise apartments (The Mansion at Kemang, The Mansion @ Kemayoran, Menteng Park, and many more). The master plan for District 8 was drawn by the Toronto-based firm Forrec (also behind Universal Studios Orlando). 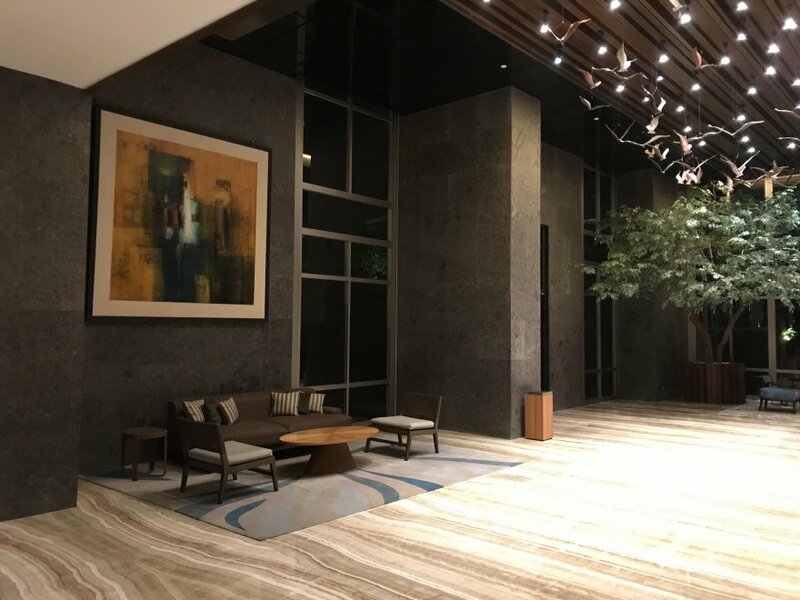 The Residence 8 towers were designed by the Indonesian architect firm Airmas Asri which has already worked on several high-end projects like Pakubuwono Signature, Pakubuwono View and the Capital Building. 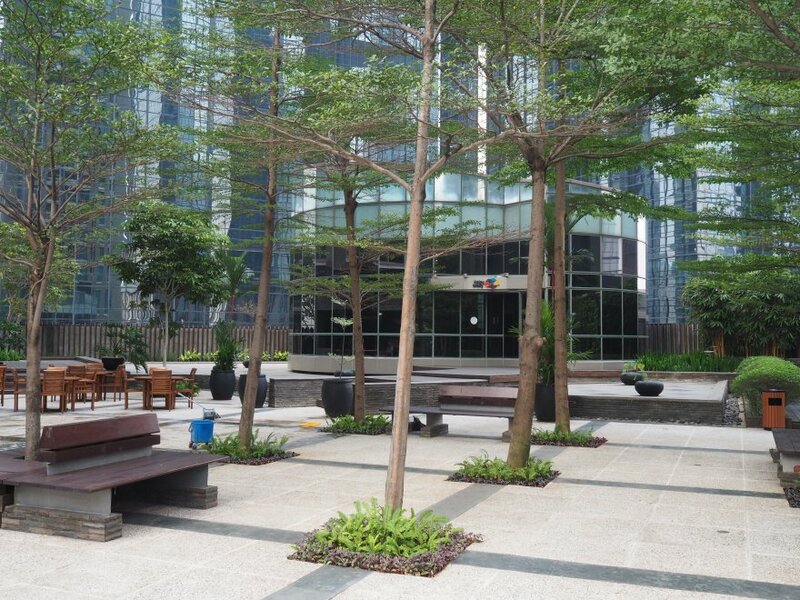 The main contractor was the Indonesian firm Acset (also behind Pacific Place, Gandaria City, etc). 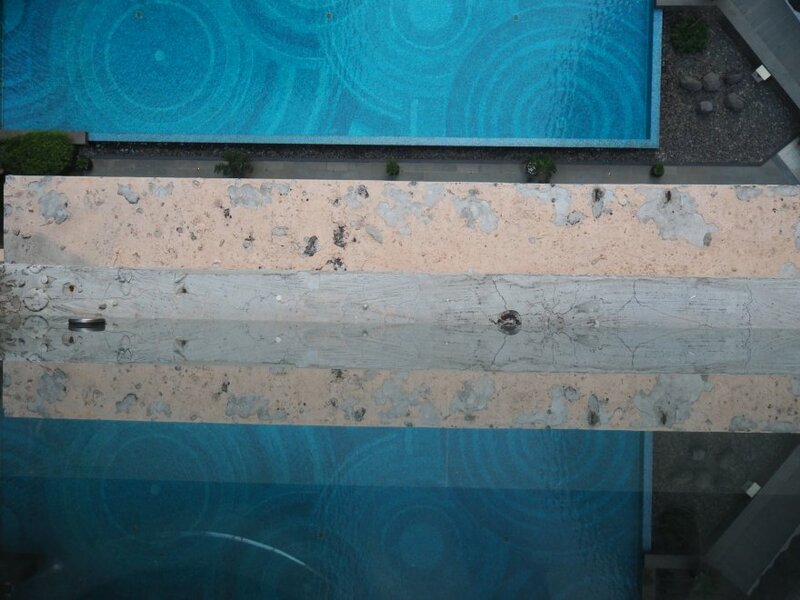 Facade of Residence 8 Jakarta: Personally, I don’t find it very attractive or luxurious. 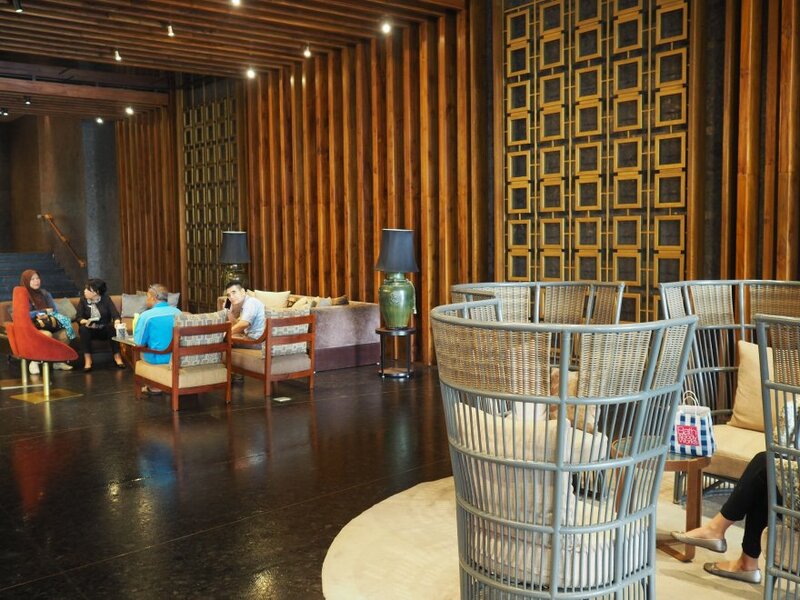 The lobby of Residence 8 is spacious, wide and well-decorated. 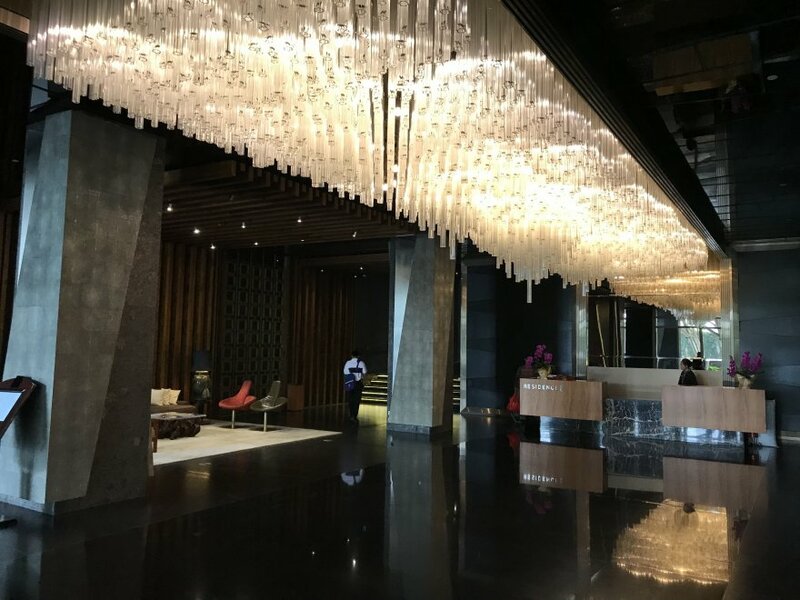 There are plenty of sofas and chairs to sit, and it looks beautiful with a massive chandelier on the ceiling. Photo taken from my apartment. You can see here most of the public areas of Residence 8. It is not very large but enough to spend some time outside when you need it. 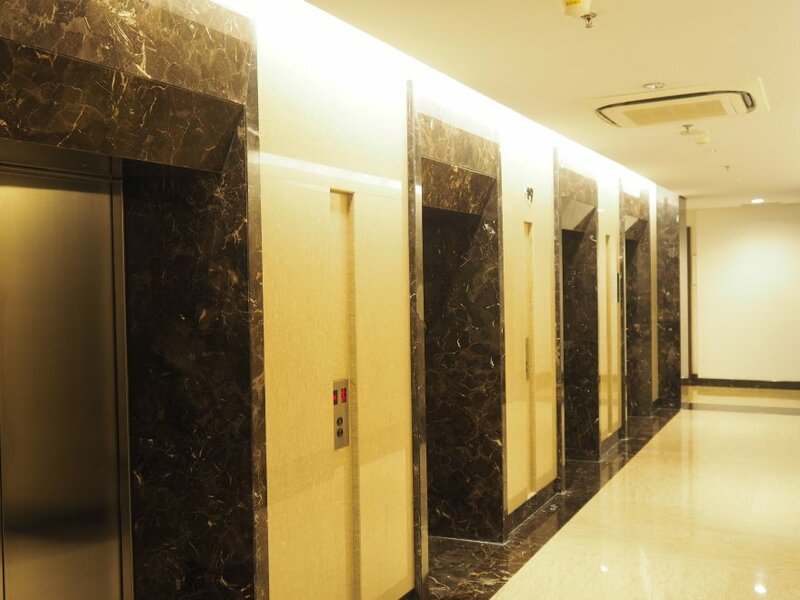 These are the corridors of Residence 8 (for the apartments that don’t have a private lift). Each unit has a balcony. 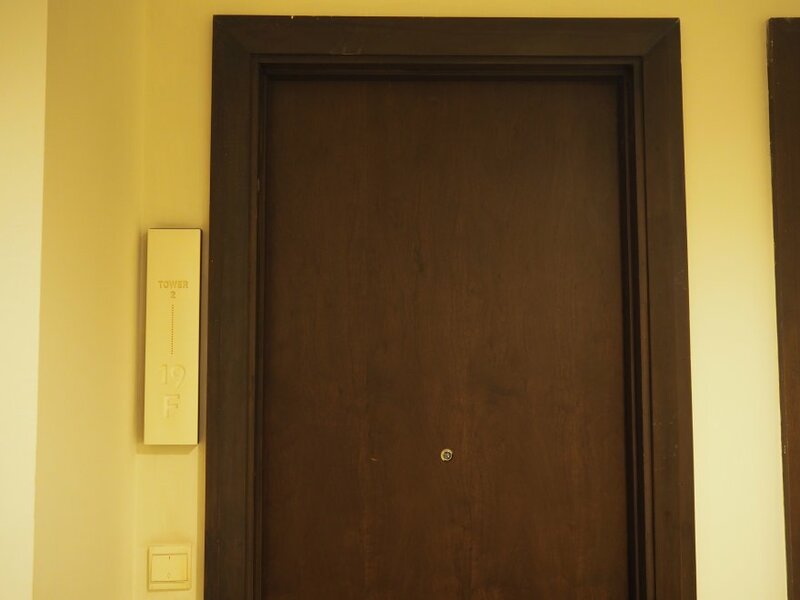 Private lift available for some units. 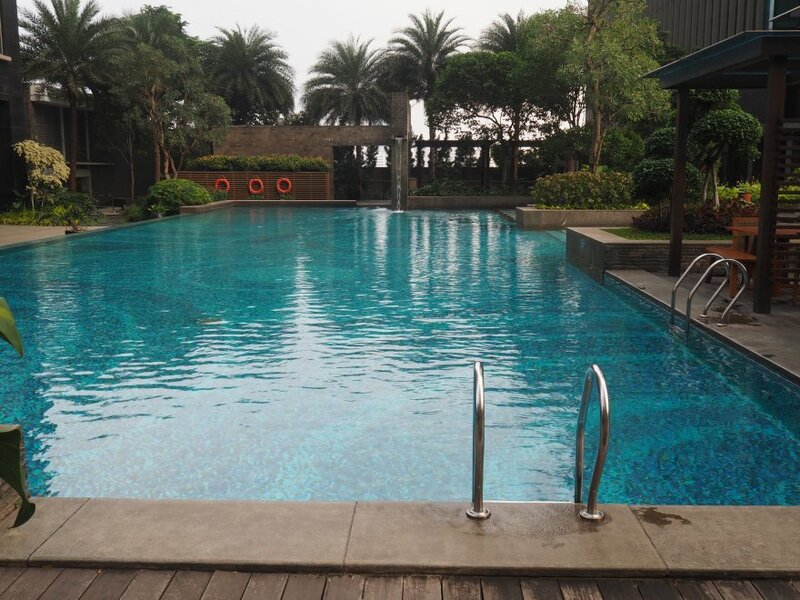 – Swimming pool: It is large, excellent for swimming. There are plenty of sunbeds to relax as well as tables/chairs. 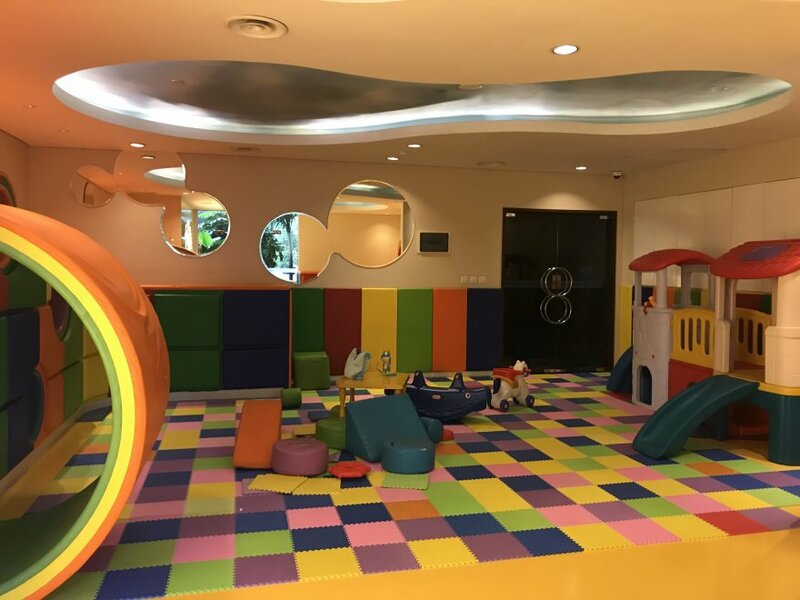 There is also a cute pool for kids with a slide. 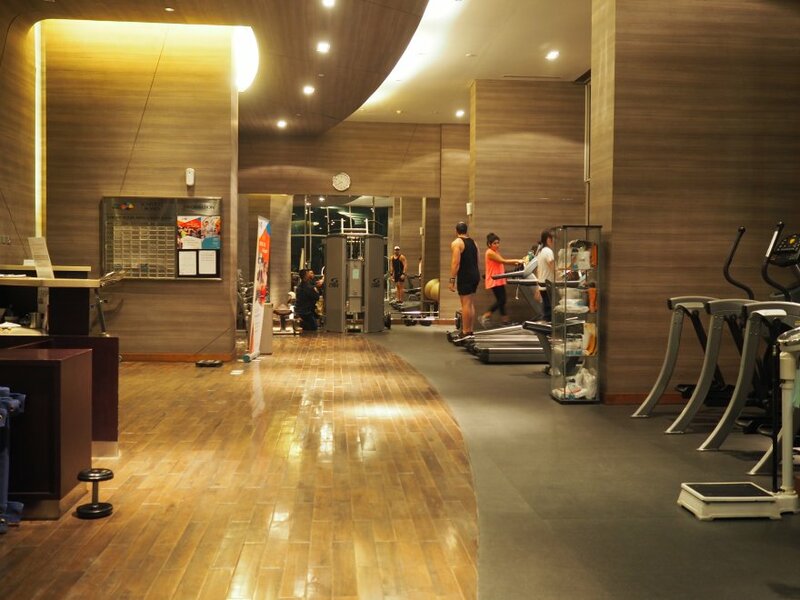 – Gym: It is medium-sized and it can be crowded after office hours. Lots of young expats. 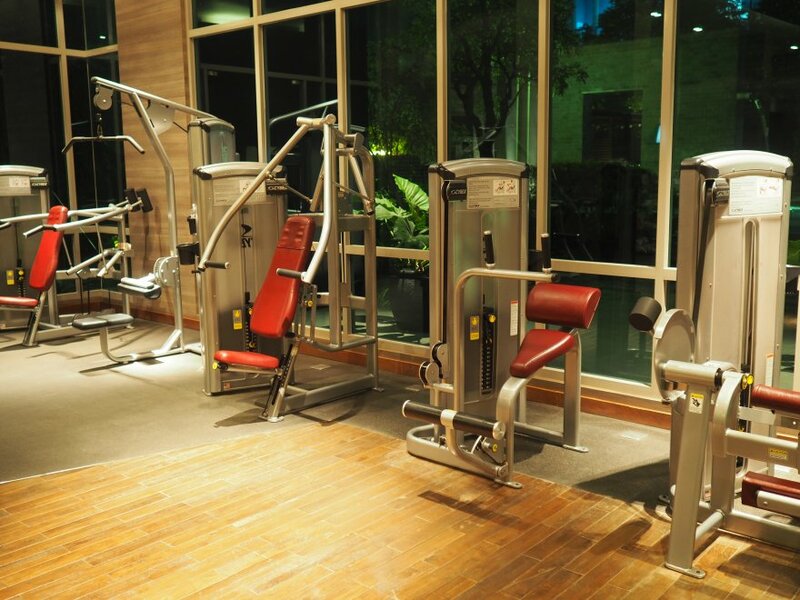 The equipment is professional and sufficient for most people. There is a sauna as well next to it. 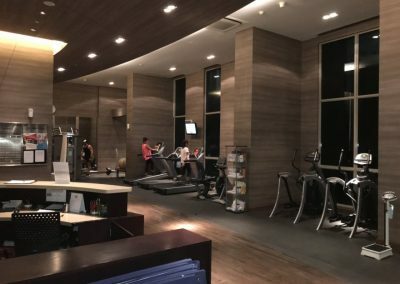 – There is also a function room, a barbecue area, and a squash court. 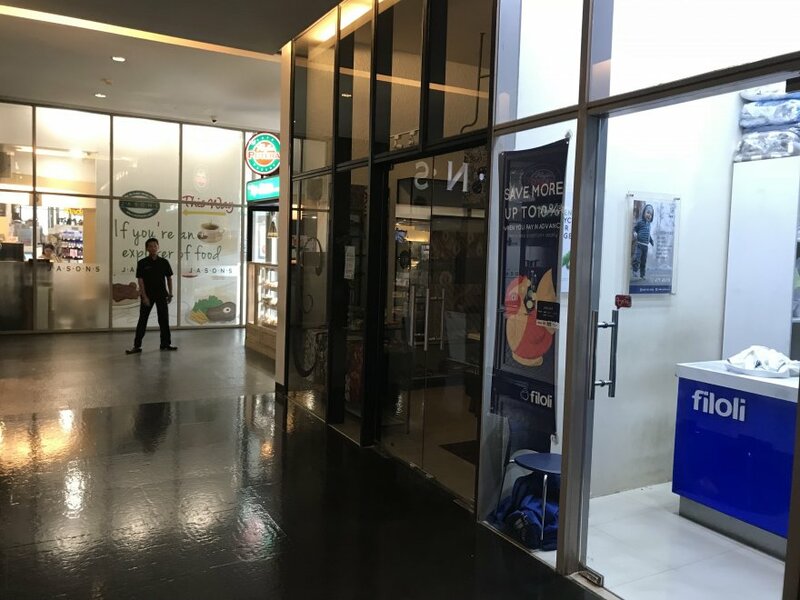 On the ground floor, between Office 8 and Residence 8, there are plenty of convenient services available: A supermarket (Jason’s), a small food court, cafés, restaurants, ATMs, laundry, etc. Yes, it is probably full or almost full. 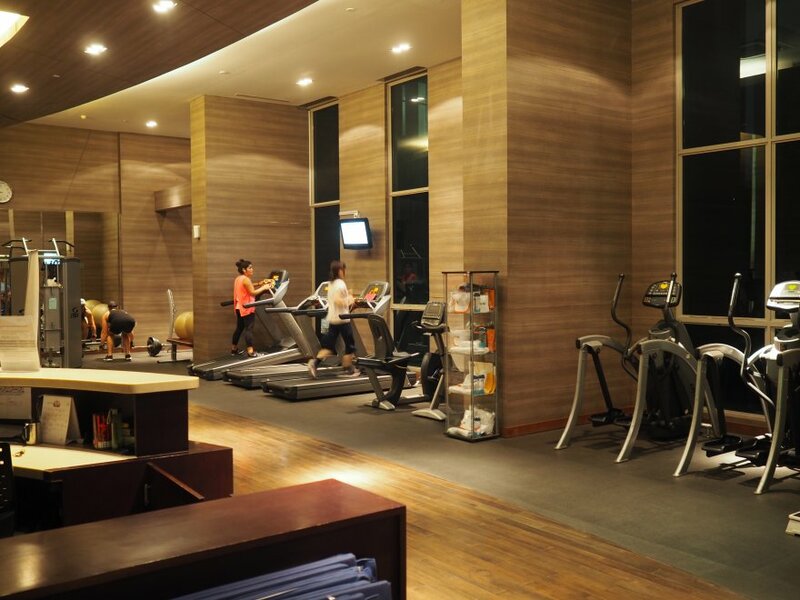 You’ll always see other residents at the lobby, the pool, the gym or the supermarket. Many of the residents are expatriates: Westerners or Asians (Japanese/Koreans). 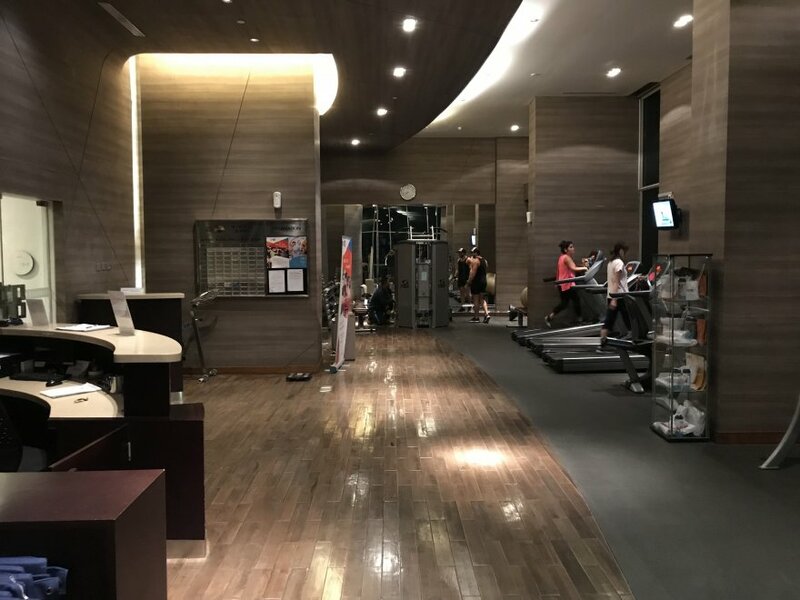 It is popular with the younger ones (30-40 years old), probably because most apartments only have 1 bedroom and because the location is close to the nightlife (and far from international schools). It was completed in 2012. 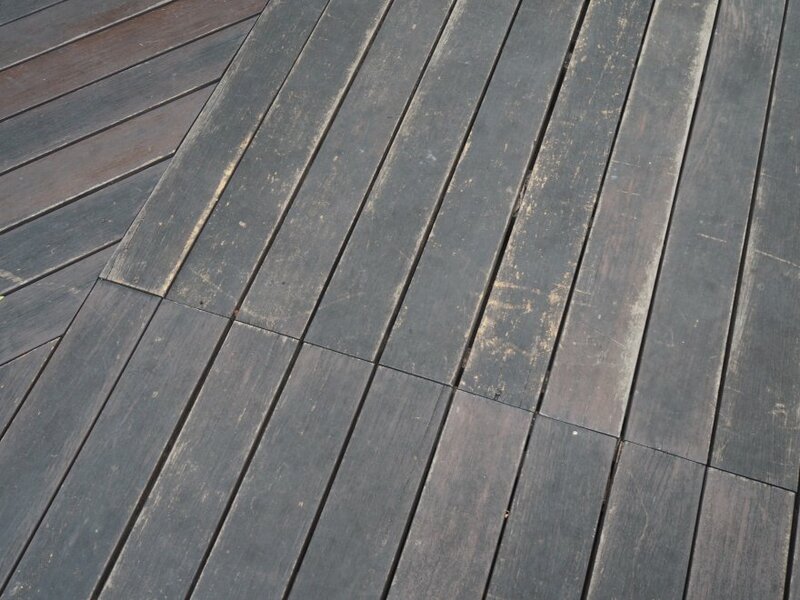 Some of the wooden boards were loose at the pool’s deck. One more thing: There was a weird smell coming out of my toilets. I complained to the owner and he said it came from the building. I don’t know if this is common but you should make sure you don’t have the same problem. 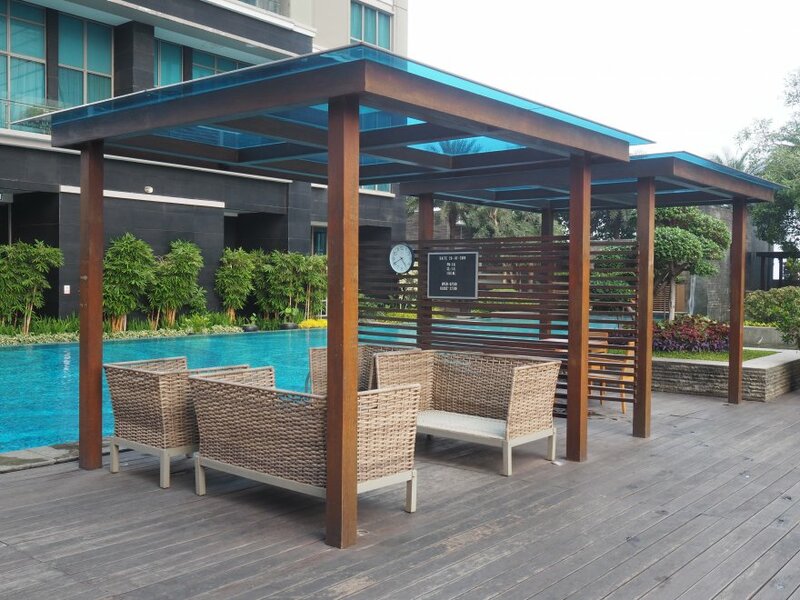 Prices at Residence 8 may vary depending on many factors such as the floor, the unit type, the room condition and the furnishings. 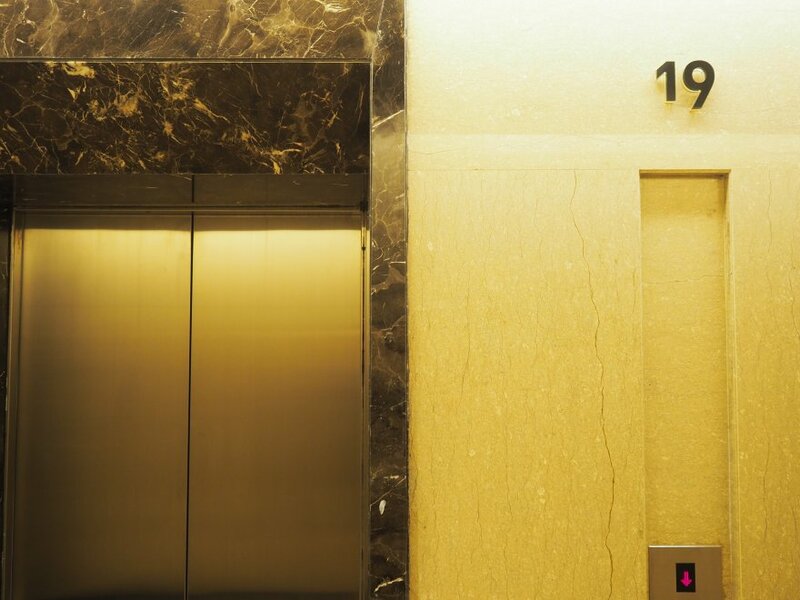 Some units also have a private lift. My unit was facing Jalan Sudirman. The view was not fantastic (see photo), but there was not too much noise from the street or from a mosque. 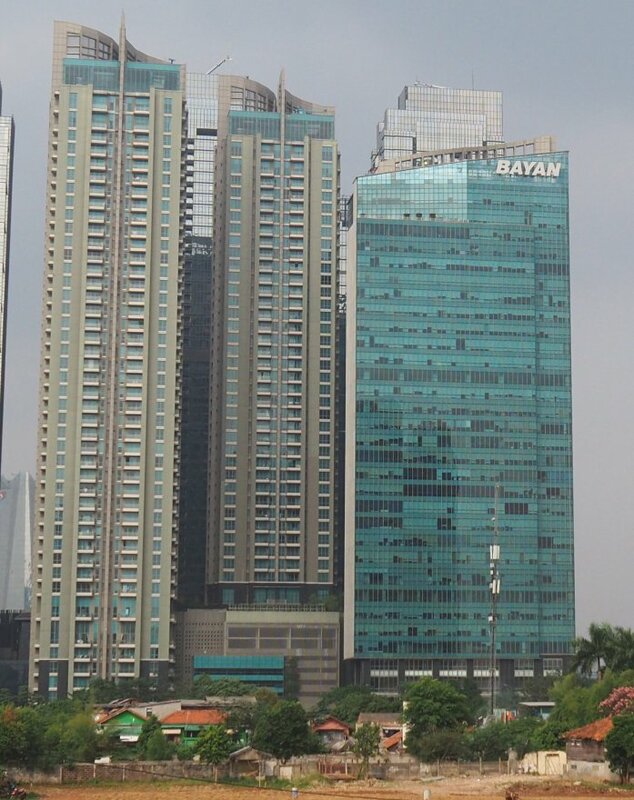 The kampung that you can see below will probably be replaced by new towers in the years to come. 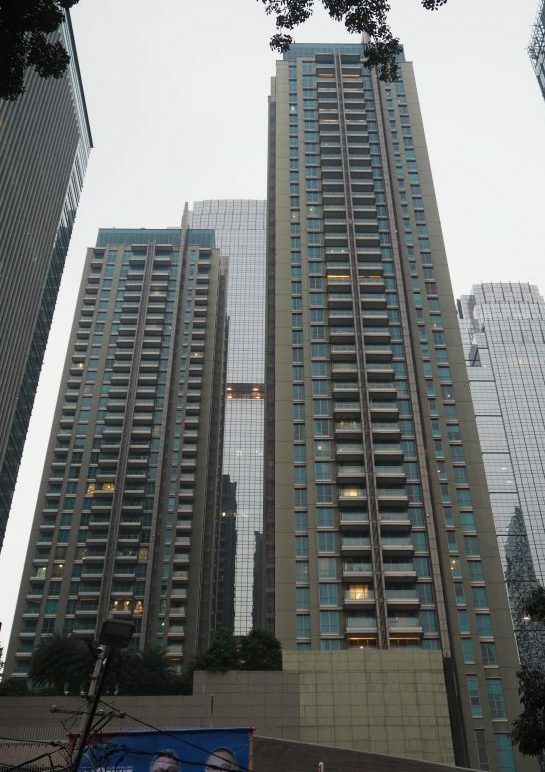 There is still plenty of empty land in this area and it is likely that more luxury residential towers will be built, thus competing with Residence 8. 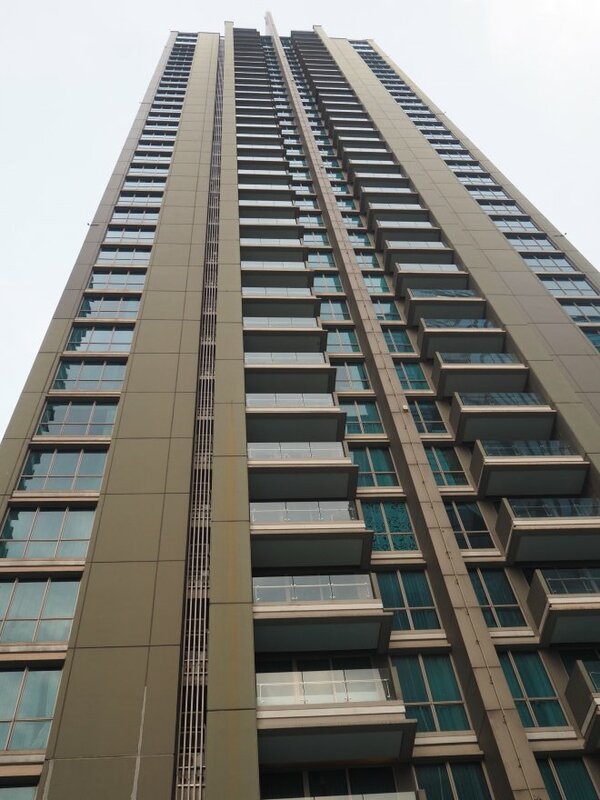 Actually, the newly-built District 8 Apartments are already pushing the prices of Residence 8 down. 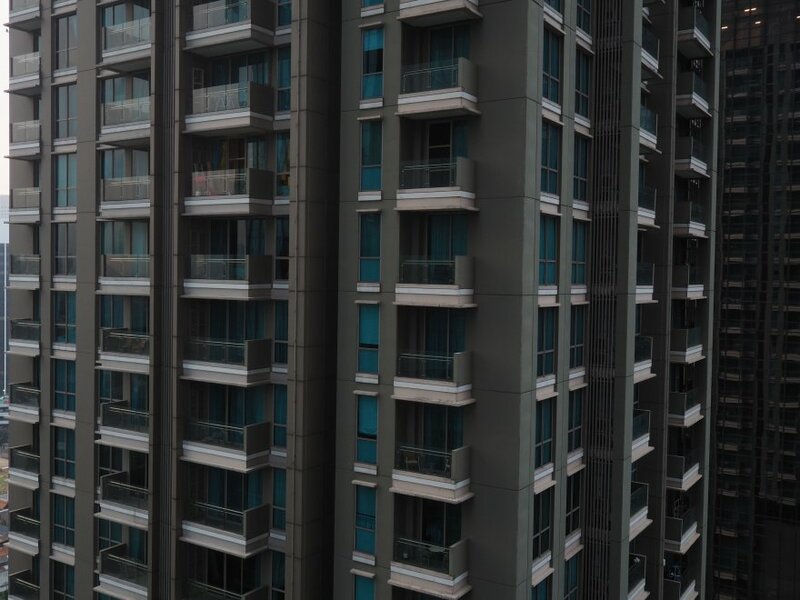 The towers should be better maintained to avoid losing value (especially the facade). A repainting job will be necessary in a few years. The current prices I’ve seen online for Residence 8 are too high in my opinion. My feeling is that they will not increase, probably even decrease in the future as more luxury residential towers are built in the area. I would not buy personally unless I get a massive discount. 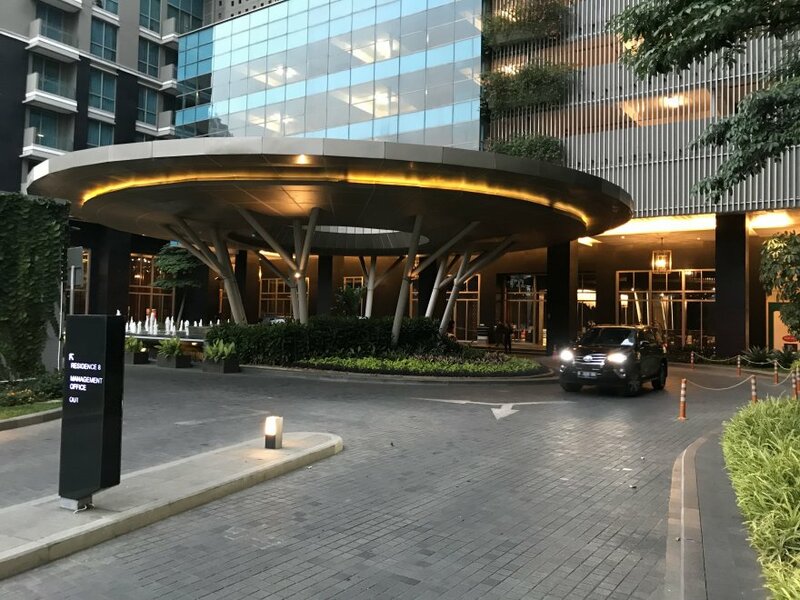 - Great location on Jalan Senopati, just a few minutes from SCBD: Near the business district, near malls, restaurants, cafés and bars. 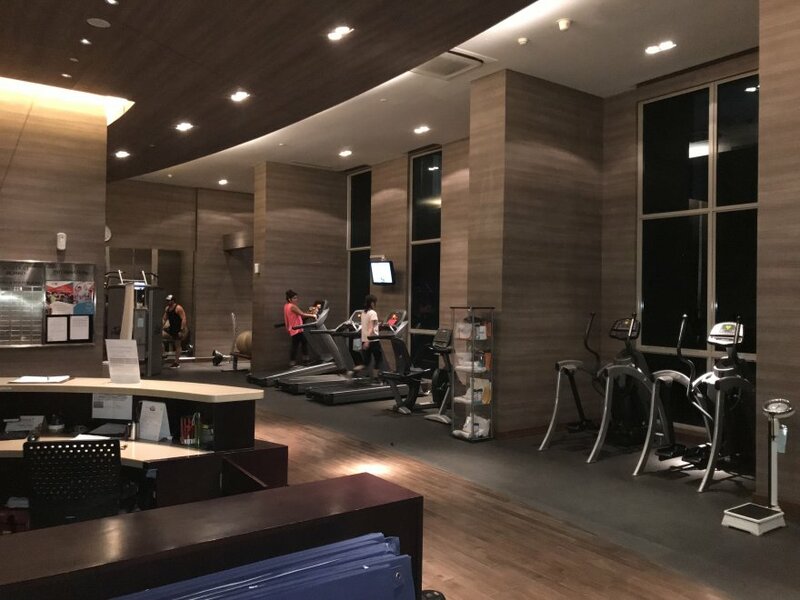 - Excellent public areas: Impressive lobby, long swimming pool, complete gym, sauna, kids games, etc. 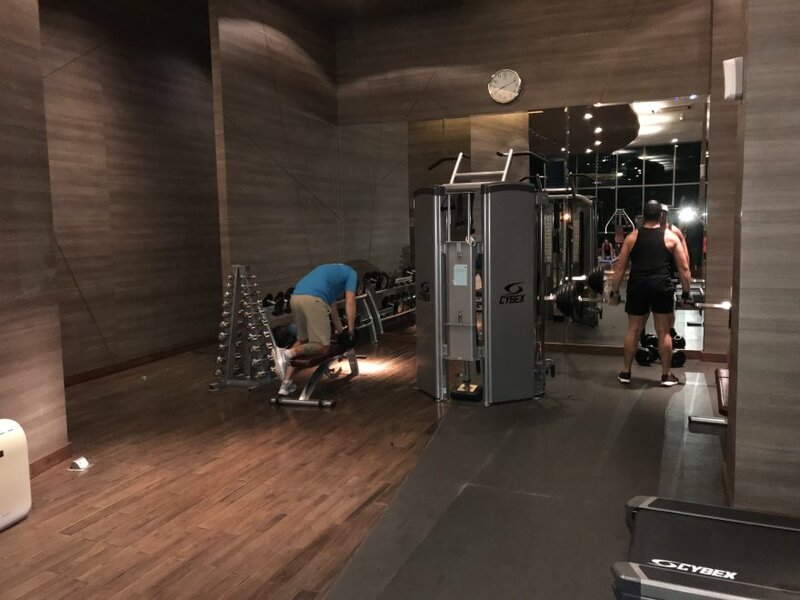 - Many services nearby, including a small supermarket and a few eateries. 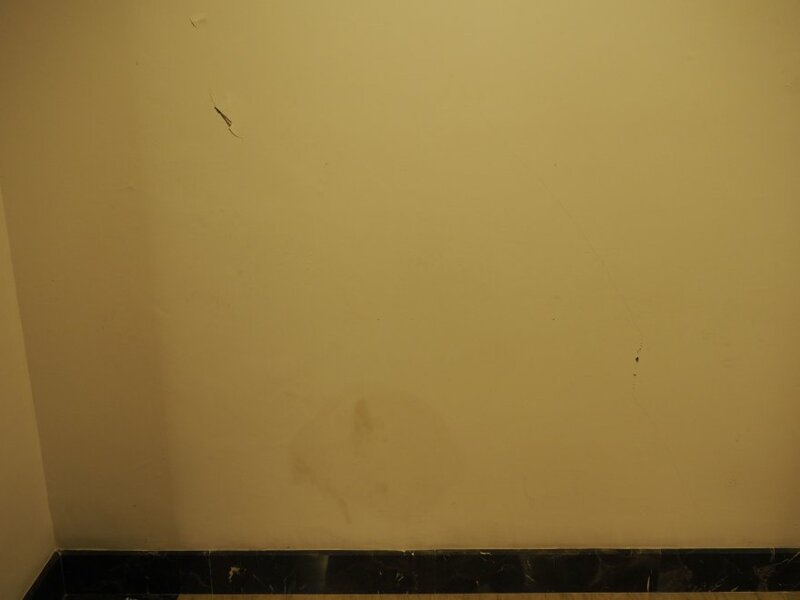 - The property is starting to show its age: Some areas need maintenance. 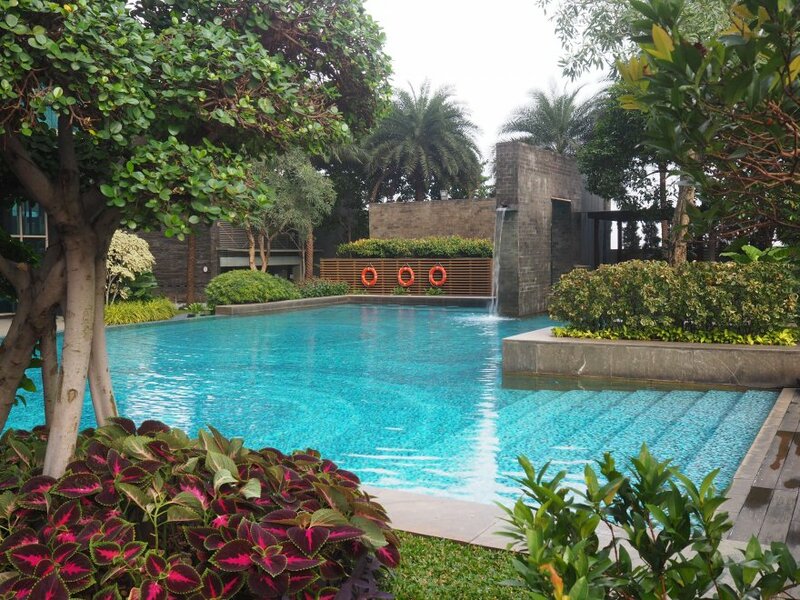 - The garden is a bit small compared to some other luxury properties in Jakarta.